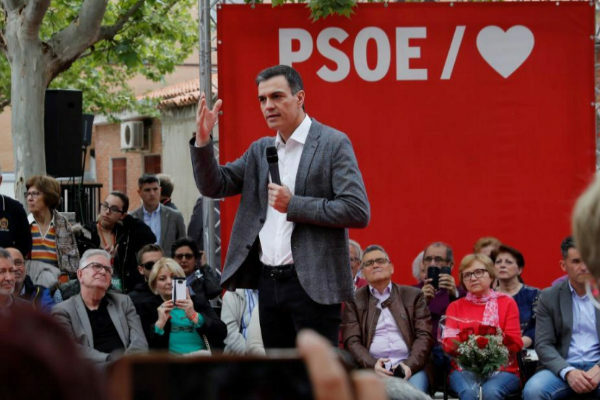 The PSOE insists on the plurinationality of Spain but opposes the "right of self-determination" or a "state of exceptionality with permanent character through article 155" because from these approaches "the future can not be built". The Socialists have made public today their electoral program. In its first advance on the 110 most relevant measures there were no mention of "conflict" in Catalonia. Now the extended version refers to the "territorial crisis". Without express mentions to a reform of the Constitution to advance towards a federal State, as they defended in their offer for the elections of 2015 and 2016, the PSOE is limited to remember that its position is included in the so-called Declaration of Granada (2013) and Barcelona (2017), in which yes, the definitive solution for the constitutional reform and the federal State is to be waged in order to "advance until it fully recognizes its plurinational character". This commitment is not now included in the program explicitly but it does go back to this position. "If our proposals had been applied we would not find ourselves in the current situation, but in any case the territorial model of the PSOE continues to be the only viable model to overcome the crisis." In this sense it is opposed both to the referendum that the separatists demand from Pedro Sánchez and to the perpetual 155 defended by the PP. Politician Pedro Sanchez asks for the vote: "We have done great things in 10 months but we have left many in the pipeline"